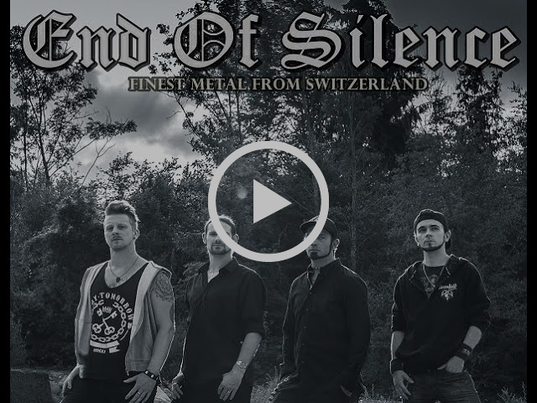 The metal from Switzerland End Of Silence, releases “Unspoken Truth" Music Video, song contained in the upcoming album "Sail To The Sunset" release date set for 15th February 2019. End Of Silence, founded in 2008. Four young and purposeful musicians, who wanted to swim against the current and still do it today. Their way of playing music is neither mainstream nor subordinated to any kind of popular Genres. They strictly resist playing music the way everyone else does and this in a successfull way. In 2011, they were rewarded for it. They won the qualifying round as well as the big final of the "Sprungfeder" Bandcontest at the concert house Schüür Lucerne. Not only a panel of experts, but also the audience has appointed End Of Silence as the winner of the contest. The money they won, was invested in their debut album "Sky Burns Red". The next band contest in Aargau took place one week later. The won the qualifying round, and in the final round they reached a good rank 2. For a long time it was quiet around the boys, because the recordings tooked a lot of time and energy. But then the big CD Release Show in Lucerne took place, in a sold out Location. Finally they were able to present their work to the public, with masses of good criticism. Many Shows on big and small stages, radio interviews and big demands, followed. Since 2017, the band is under contract with the Italian label "WormHoleDeath" and "Aural Music" and works together with the Swiss management B.V.M. 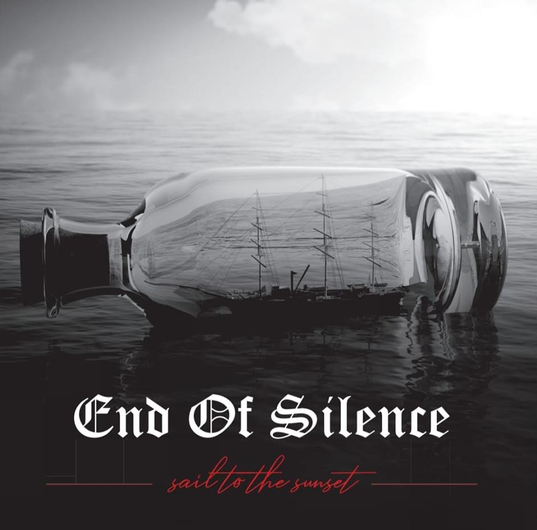 In 2018 End Of Silence releases the next album called "Sail To The Sunset", which was recorded at the "RealSound Studio" in Italy. Many projects are planned for 2019, including a tour through Russia. End Of Silence, an aspiring band that wants to achieve everything and will never give up.